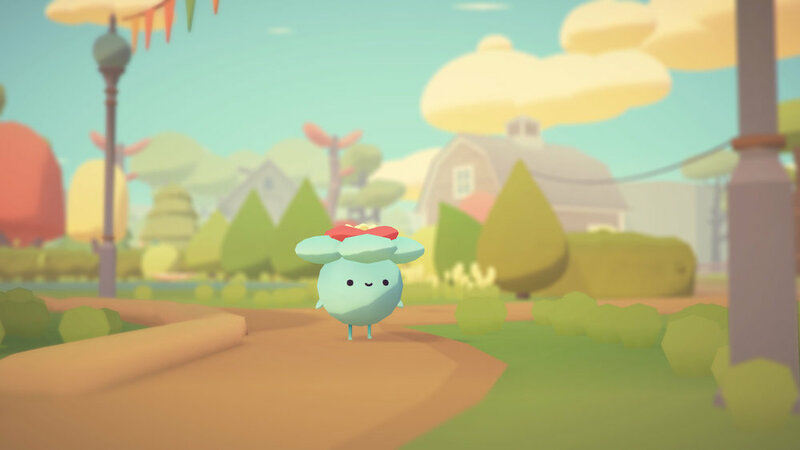 I am currently working on our newest title at Ustwo Games called Repair that will be on the Apple Arcade this fall. More information about this project will be coming soon! 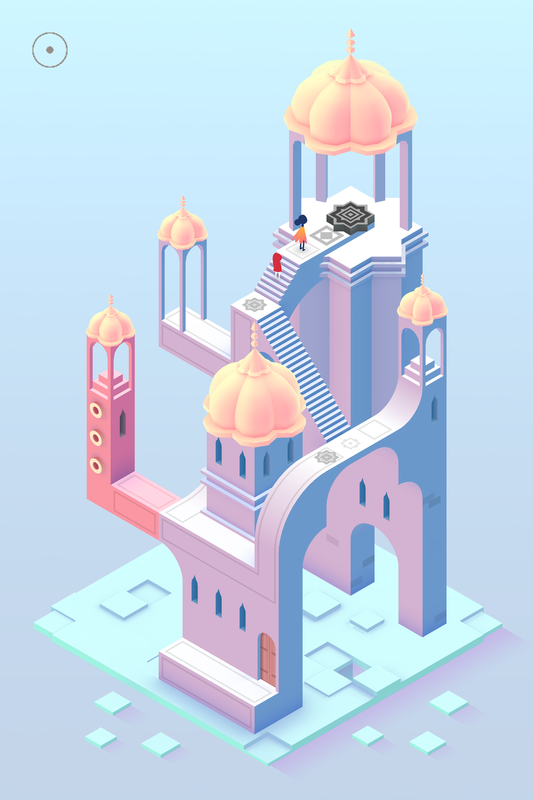 As a small team, each of us had a lot of responsibility to create the best looking art we could for our sequel to Monument Valley. We took inspirations from many different places to create unique visuals for every level of the game. One of my level sets from whitebox, building out and final. 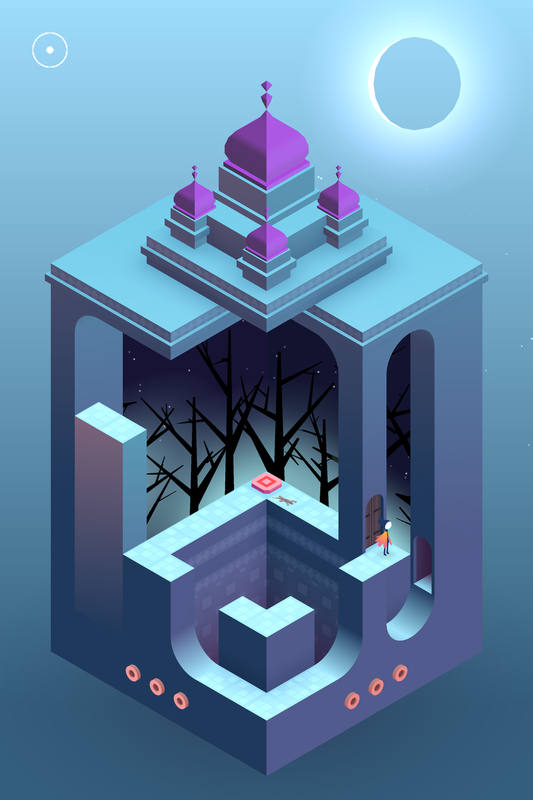 The usual workflow for the artists was to take an already designed whitebox level (like the image above) for the game and create the art for it keeping in mind influences for the art direction as well as what would be happening in the game story wise. Different levels could have slightly differing artistic workflows depending on the artist working on them. For example, I usually did iterations in Unity changing material colors and adding meshes whereas another artist may start with concept art. We printed out a lot of our inspirations and posted them on boards that we put all over the office space, often close to our desks to look at as we worked. 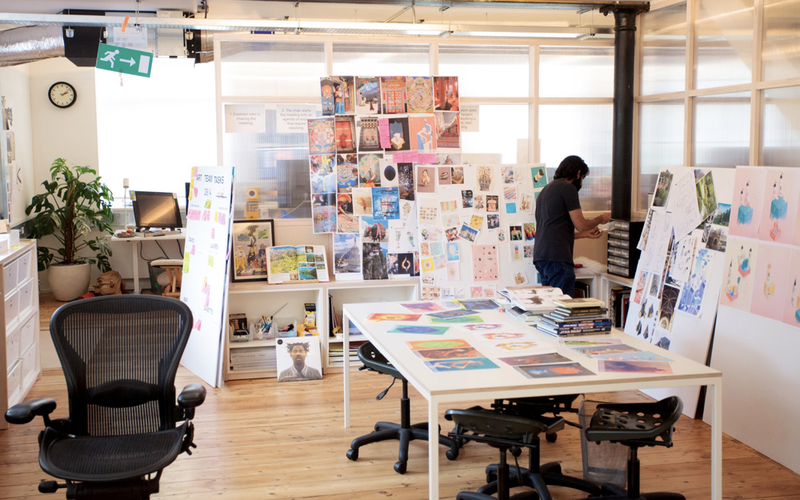 Looking at a wide range of artists in illustration, music, and other professions was vital to our art direction. On the left you can see my first steps in doing the visuals for the level, and on the right is the final version in the game. I knew that I wanted to test out the reflection mechanic first - of which I ended up duplicating the level and flipping it to make work! That and starting to get a feel for the atmosphere of the level in the early stages helped me narrow down what I wanted in the level. I wanted to get across that it is a magical place used specifically for the ceremony at the end. I wanted it to feel serene and lonely - but not scary. Adding in the glowing texture on the rotating geometry once you complete it and the totems rising to meet you helped make it feel like a place that has been around for a long time that has a purpose. Each level had it’s own artistic questions to answer and process of working. 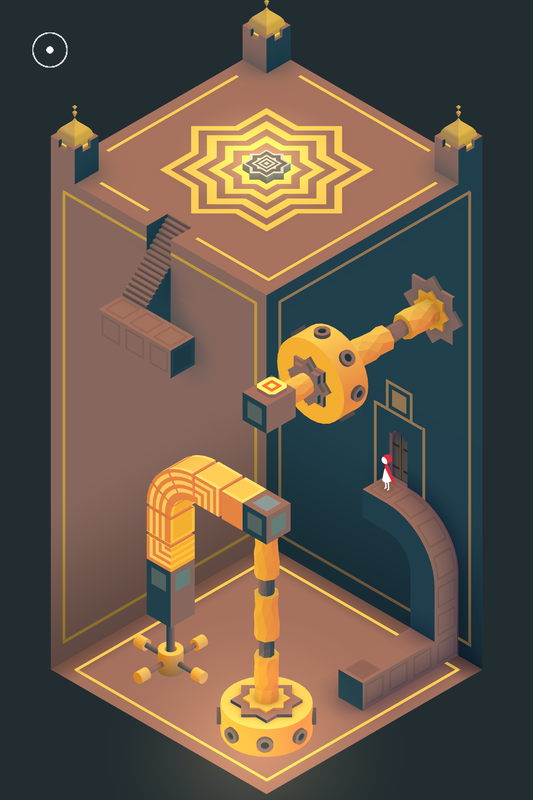 Above are some more whitebox to in game screenshots of levels I worked on. They both have visual tricks you may not notice at first glance, but look closely at the architecture. Every level in the game was printed and put onto a wall in our office space. This provided a great overview of the flow of the game, level difficulties, and which levels we still needed to do art for. As we finished adding the art to a level we updated the wall. 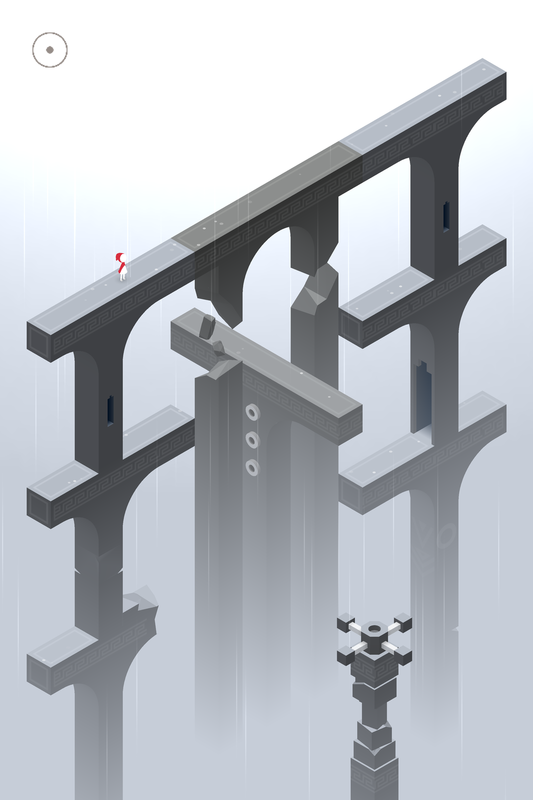 Seeing each of the levels in a chronological line also had the benefit of getting a feel of the overall atmosphere of the levels. This also allowed us to move levels around to make sure the flow worked every step of the game. It was also fun to see how many levels had ended up pink or purple (a lot) and make sure we include some other colors. A majority of the art took place in Unity, using inhouse shader tools and modular meshes made in Maya. We would create the art on top of the designed level making sure that it was playtestable at any stage of our development. The shader tools allowed an artist to easily pick exact colors for the x, y, and z axis as well as add in elements like fog. We were able to use gradients, bake ambient occlusion and add overlays to polish a scene visually. The artists worked closely with designers to create a seamless relationship between visuals and design. The finished product was shipped in June 2017 and is currently available on the Appstore. With over 3.5 Million downloads and multiple awards I am extremely proud to have been able to creatively contribute so much to this project. 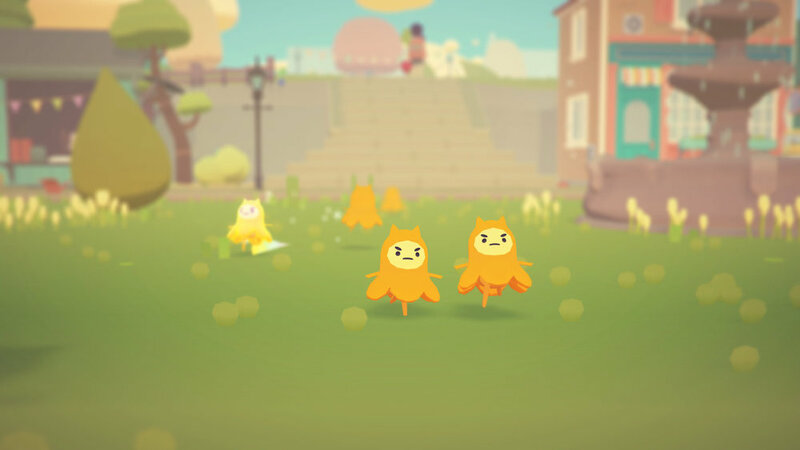 I had the lovely opportunity to work with Rebecca (nonplayercat) and Ben (perplamps) on their upcoming game Ooblets! It was a short contract so I only made a few friends but here they are in all their glory.